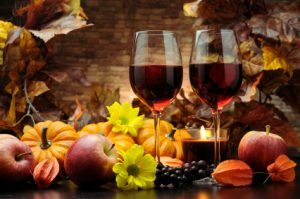 In all of Thanksgiving’s craziness, whether hosting, attending, or hopping around from relative to relative’s, everyone NEEDS a good glass of wine. 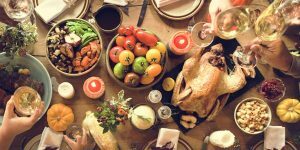 While wine may not completely prevent the political rioting and arguing that is bound to break out at your dinner table this year, a glass (or two, or three, or…) will help you drown out all of the chaos. Or so we hope. Here’s the breakdown of which wines to serve (or bring. If you’re a guest, always bring wine in addition to what dish you’re bringing. There can never be enough). Grassy, crisp and tangy, with a blast of quenching grapefruit and melon flavors, this wine goes perfectly with that crudité platter and shrimp cocktail your Grandmother brought. Dry, yet smooth and lush with hints blackberry. This wine pairs well with meats and cheese, and heavier appetizers such as fried foods or creamy dips (please tell me Aunt Lisa made taco dip). I recommend at least 2 glasses before dinner so that buzz wears off any fullness you may be experiencing from the appetizers. Velvety with black cherry color and aromas of black currants and plum. Delicate flavors of matured black fruits balanced by red berries give this wine a silky, refined, finish. 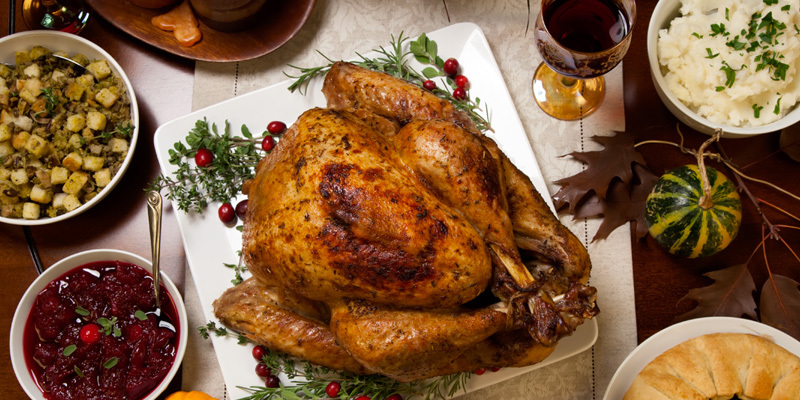 The gentle aromas of this wine will enhance the taste of your (hopefully) juicy turkey. Unoaked with flavors of tropical pineapple and peach, this wine is a nice compliment to your array of turkey, mashed potatoes, stuffing and any vegetables (anything green has been pushed to the side of my plate at this point). Coffee? No thank you, Aunt Brenda. But what do you have left for wine? Jammed with flavors of plums, black cherry, and caramel, this wine goes well with your chocolate desserts. Brownie or Boston Cream Pie? Both, please. Congratulations! You made it through Thanksgiving dinner. Please drink responsibly. 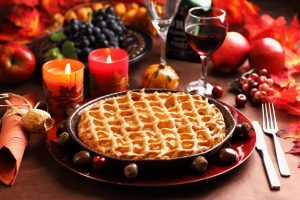 This entry was posted in Uncategorized and tagged Thanksgiving, Wicked Wines, Wine. Bookmark the permalink.